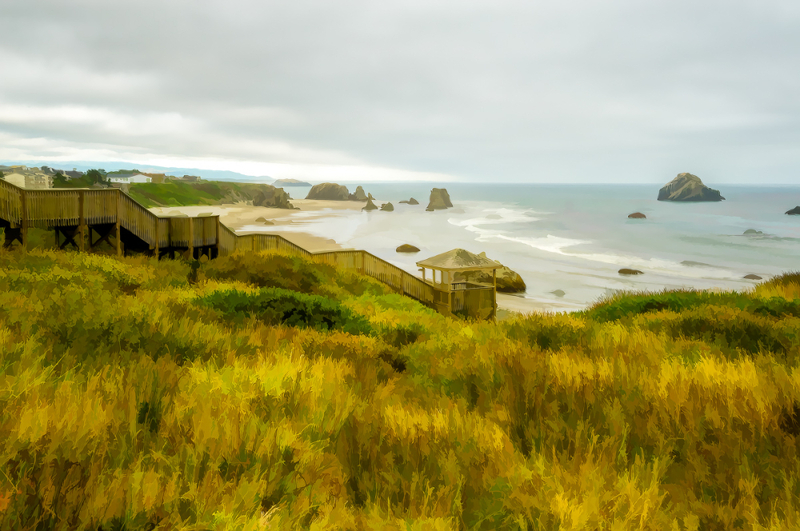 john4jack (Corvallis, Oregon, United States) on 21 September 2014 in Landscape & Rural and Portfolio. You have your painterly processing down pat. Each of your images processed in this manner are beautiful to view. Some of them, like this one, capture my attention and keep me lingering and hoping for more of the same. The scene is well presented, but I particularly like the texture and colors of the foreground grasses. wonderful rendition of a magical place! the colours and the texture are extraordinary, and - like jeff above - i love the effect on the grass !! !